It’s no surprise to any of us that copper prices are being watched closely. Many of us use it as an indicator to the longterm success/demise of our operations. With the recent lowering of demand, declining body grades, and a rapid decrease in the average age of the miner (the loss of experienced miners), we are essentially seeing rising waters and a falling sky in the copper industry. These factors are all contributing to the squeezing of margins for producers, and has all of us looking ahead with uncertainty. We are all being faced with two choices; lower our production costs, or sell for a higher price. This dichotomy leaves us either at the mercy of our own efficiency, or the mercy of the commodities market. Efficiency, a key player in all of our success, has actually been decreasing for more than a decade, but has often been masked by the explosive growth of commodities. 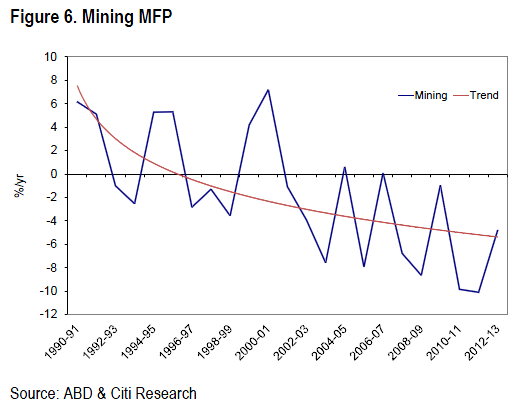 Now that commodities are cooling off, it will be productivity and efficiency that will define which miners succeed in the price competitive markets that are now emerging. When looking to improve our efficiency, there are again two major paths to take; One is to invest capital in newer processing equipment such as larger/newer mills and flotation reactors, and the other is to optimize the processing equipment that is already in use. Most will choose to to optimize existing equipment as new equipment simply has too large of an initial cost/down time associated with it to offset any unknowns in future commodity prices. Improving the productivity of existing equipment is clearly a more streamlined and economical solution, especially when considering the use of automation equipment. Automation will solve two problems at once; First, it will capture all of the knowledge of the experienced miners and preserve it in the code of the software. These individuals can run their plants better than anyone else, and the information they hold should be encapsulated in the code of the automation system. This will offset the effects of the rapid loss of experience that many of us are seeing. Secondly, automation systems will eliminates human error and greatly reduce reaction times. An important distinction to draw as well, is that a good Expert System will actually never hit higher output peaks than a good operator, the upper limit is a function of the equipment and not the process control. However, if you plot throughput over time on a histogram, you will see that an Expert System’s ability to constantly monitor, predict, and react to changes in ore or nonlinear factors such as liner wear, results in a much larger amount time being spend in the “productivity zone”. This ability of the Expert System to always stay ahead of the curve can increase throughput by 4-8% in your mills, and a 2-4% increase in recovery during flotation. 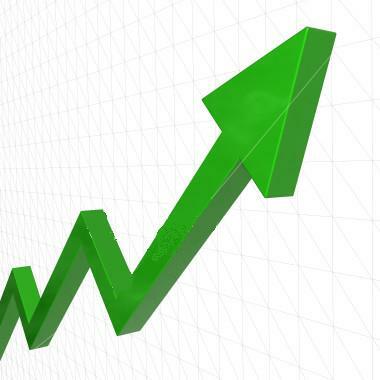 In this industry, the typical response to dropping copper prices is to clam up and cut costs / downsize. However, this may not always be the best approach, especially since the longterm demand for Copper still looks very healthy. So long as we can effectively lower our production costs, we have many great years ahead of us. As we’ve been able to show, automation equipment can reap very large financial gains in a very short time and increase productivity for the lifespan of the mine. This helps bring the rising waters down, and keep the margins at healthy and sustainable levels for all of us.